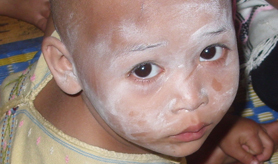 Kidz in Kampz is a registered charity supporting the education and welfare needs of children living in camps for displaced people along the Thai/Burmese borders. Kidz in Kampz is entirely independent, all our funds are self-generated. The Management team, Trustees and shop staff are ALL volunteers − we do not pay wages.